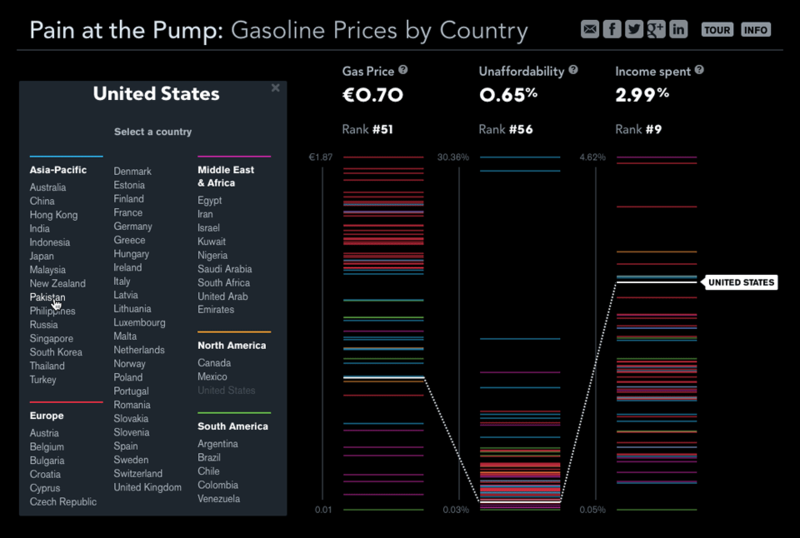 Comparison of worldwide gasoline prices, relative to a country’s average income and fuel consumption, displayed in different currencies and units of measurement. 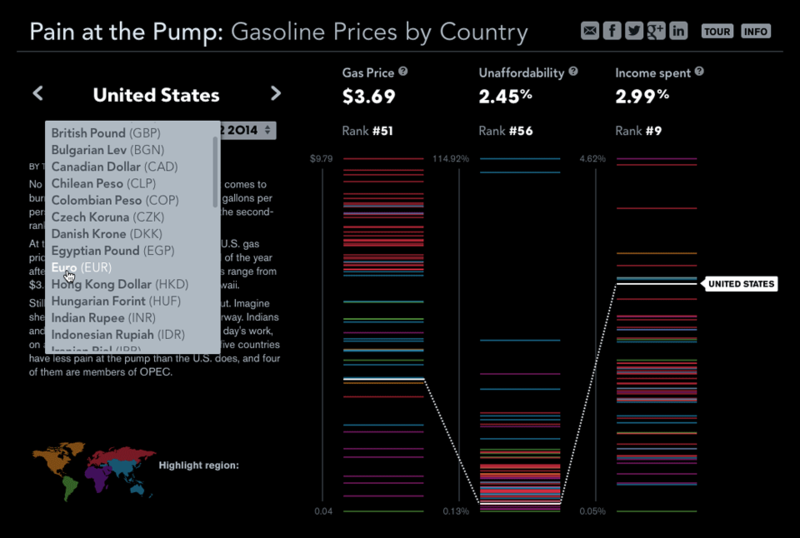 This gas price ranking is sorted by average fuel price and by pain at the pump—which measures the percentage of a day’s wages that are needed to buy a unit of gas. 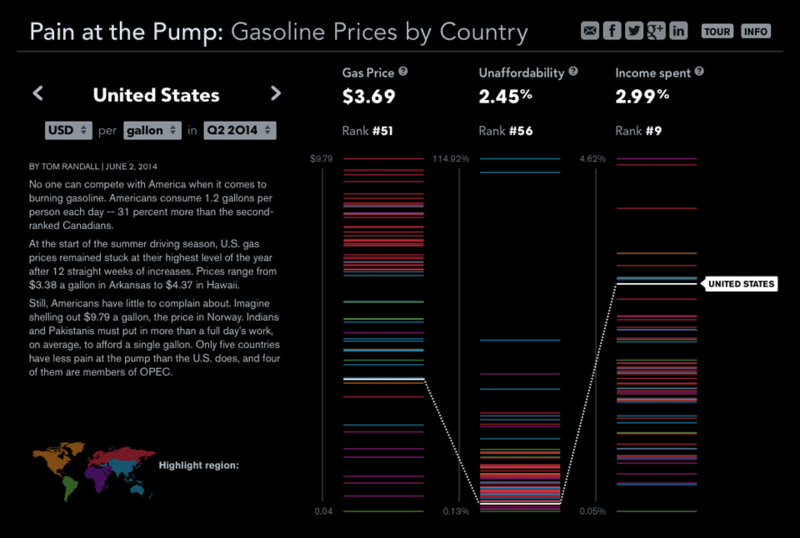 The third column shows the percentage of personal income spent each year filling up. 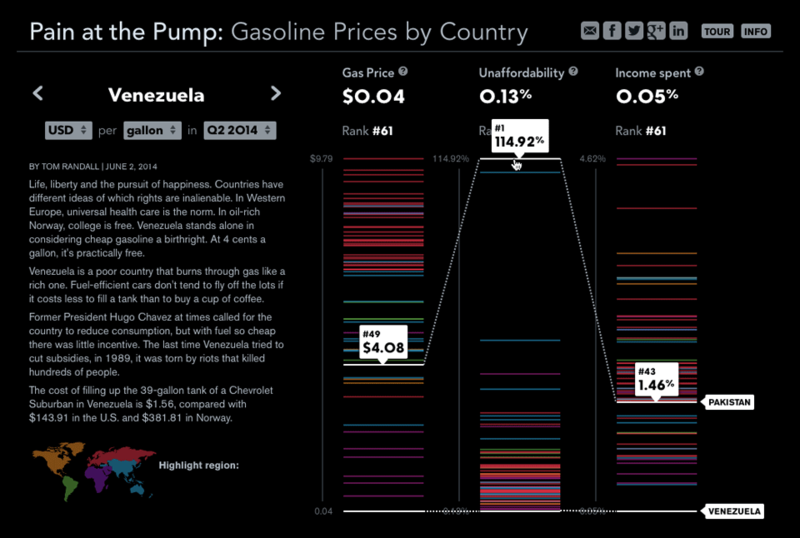 Rolling over each colored bar allows one to compare these metrics between two different countries. 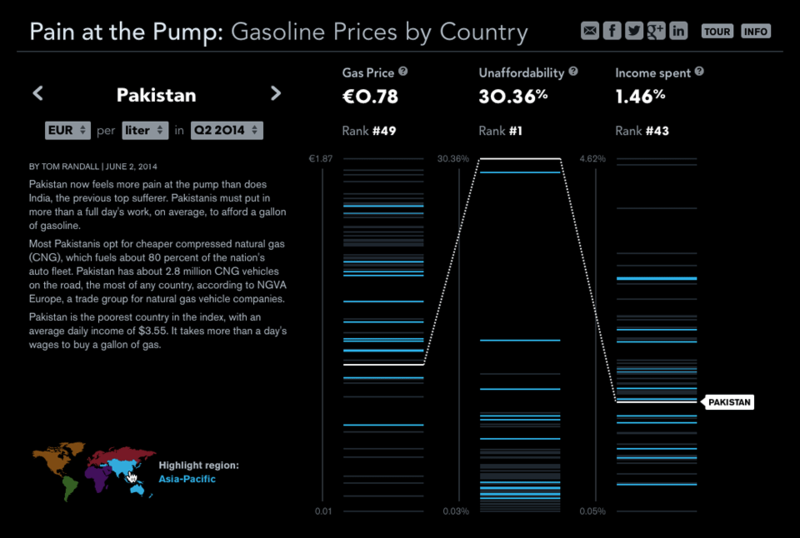 Interesting comparisons can be seen between countries that have a high pain at the pump ranking (Pakistan) against those with a very low ranking (Venezuela). 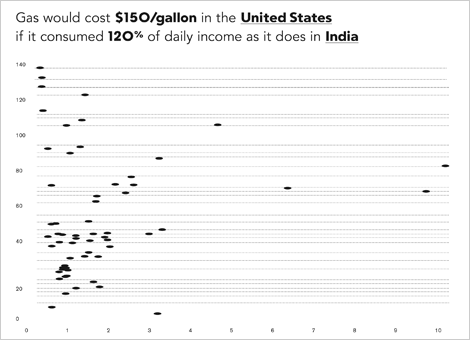 To make comparisons more meaningful to a global audience, one can change the currency and unit of measurement in which to display the data as well as the time period. 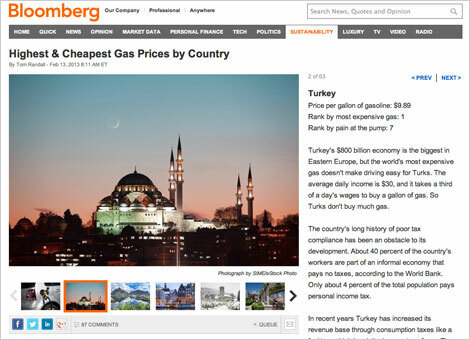 The user can cycle through the rankings of 61 countries or directly select one from a list organized alphabetically within regions. Highlighting individual regions of the world. 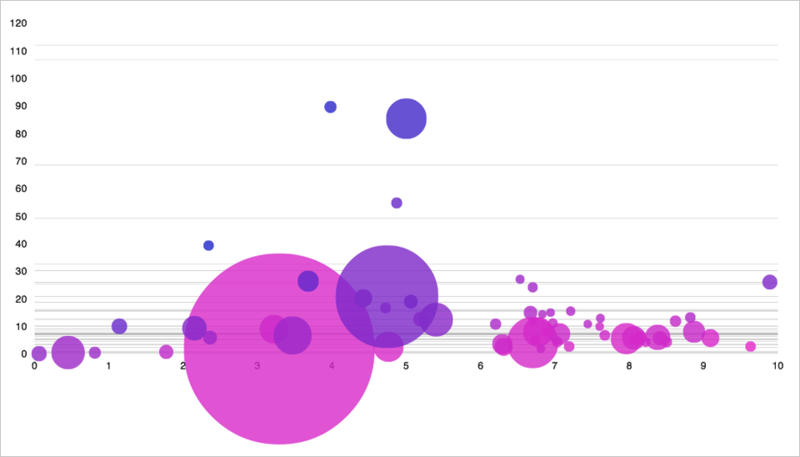 Early experiment in R, displaying the data as a bubble chart. 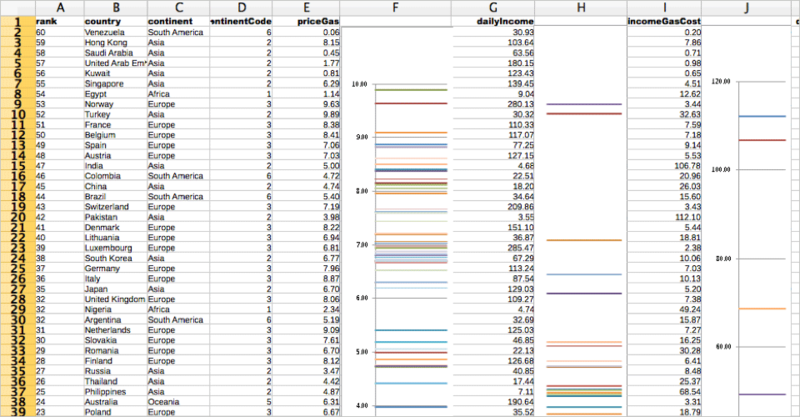 Seeing country data displayed as color-coded bars in the spreadsheet informed the final design.